Many people consider their pets as part of their families. Most pet owners would not be happy to have their pet placed in a shelter, no matter how “good” the shelter may be. Taking care of someone else’s pet requires a special kind of person. It is important to check out any assumptions you may have that a close family member or friend will be able to easily welcome your pet into their life, are capable of meeting your pet’s needs, and can afford the costs associated with your pet’s care. These individuals may already have established pets as part of their own families, or other demanding responsibilities in their lives that may preclude them from being able to take over the care of your pet, even if they would like to help. Establishing a pet trust allows you to identify who is to take care of your pet and set aside specific funds for that person to do so. 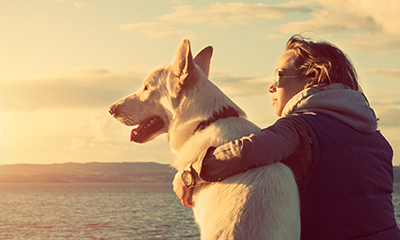 With a pet trust, the funds can only be used to care for your pets. If life circumstances (creditors, divorces, etc.) imperil the caregiver’s finances, the funds set aside to care for your pet remain safe.